Taylor had 2 Siamese-Tabby mix cats called Indy and Eliehsen who didn't like anyone else in her family apart from Taylor. She has also had two dobermans called Bug and Baby. Currently, she has two cats named Meredith Grey and Olivia Benson. 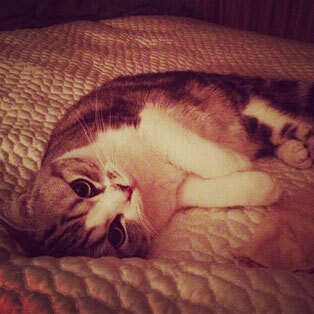 Meredith is one of Taylor's pets. She's a Scottish fold cat, named after the character Meredith Grey (played by Ellen Pompeo) from one of Taylor's favorite TV shows, "Grey's Anatomy". Taylor bought Meredith on Halloween 2011. She is included in a lot of Taylor's blog posts. Taylor has been reported saying that "Meredith is one of the best cats. She doesn't leave fur or furballs and she is never aggressive or afraid of being around people." Meredith Grey Swift is also known to be very good as a traveling companion. Also, Meredith and Olivia have several social media accounts set up by Taylor and her brother Austin. 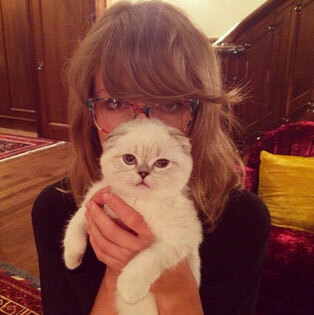 In June of 2014 Taylor got her second cat. She is named Olivia Benson, after the character portrayed by Mariska Hargitay on "Law & Order: SVU", a tv show Taylor has loved for a long time. Olivia is featured in Taylor's Diet Coke commercial for "1989", and also appears in many of her instagram videos/photos. Like Meredith, Olivia Benson is a Scottish fold cat. In October 2018, Olivia was named the Richest Celebrity Pet in the world and the third richest pet over-all, with total earnings of $97 million. Her earnings range from commercials for Diet Coke, Keds and AT&T to the millions of fans who buy her merchandise in Taylor's store.